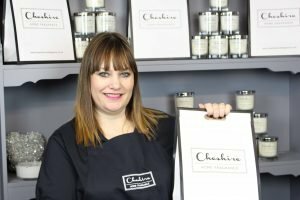 Mother’s Day is just around the corner and here at Cheshire Home Fragrance the orders have been flooding in for some special scents made with mum in mind. Forget the chocolates; my latest creations in Gin and Tonic and Pink Champagne & Pomelo are the perfect treats for a mum who deserves a bit of pampering this Mother’s Day. Plus, they’re completely guilt-free! 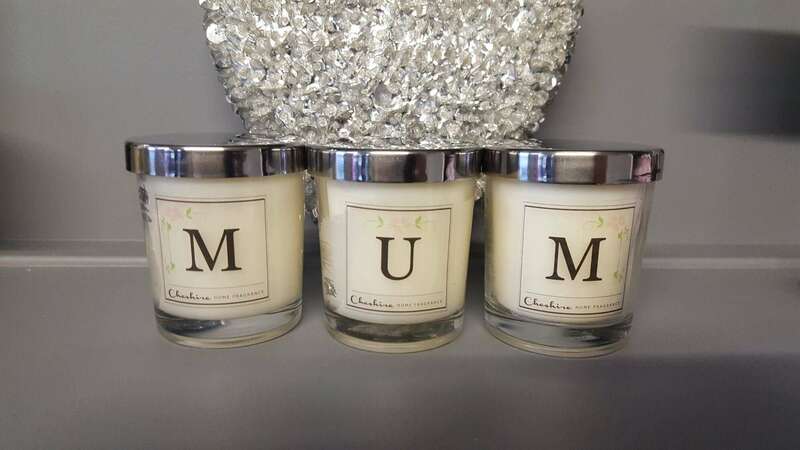 I’ve also been putting together personalised sets of votives spelling out ‘MUM’ in customers’ choice of fragrances and, as well as mixed sets in the usual favourites. The 3 Votive “Mum” sets have proved very popular. The usual full fragrance range of products is on sale in the shop and website, but I’ll be heading off on holiday just before Mother’s Day, so the shop will be closed for business from March 8th for a few days – bad timing I know, so last orders for Mother’s Day Gifts will be Monday 5th March. There’s plenty of time to pick up your Mother’s Day gifts before then, though; I am open this Saturday 3rd March from 9am until 12pm, I’ve also got an event at the weekend where I will have stock on show and to purchase, including the MUM candle sets (see info below), I have teamed up this Mother’s Day with Hazel Grove Flowers who are offering a set of the 3 Mum Votives, a Tulip Bouquet and a Balloon all for £35 and Claire will also be at the Cheadle Hulme Artisan Market on Saturday 10th March for you to be able get those last minute gifts. Don’t forget to check out what’s available on the website, too – the 3D burners are proving a big hit along with the new ceramic burners that I added a couple of days ago. On the 4th March I’ll be teaming up with clothing store Glitter & Grace for The Step into Spring popup event in Oddfellows in the Park Hotel at Bruntwood Park. The former Bruntwood Hall, which was recently converted into boutique hotel Oddfellows. Stop by between 12pm and 4pm and say Hi – there will be plenty on offer from Cheshire Home Fragrance, Glitter & Grace and Catherine Loves, as well as beauty advice from Made Up Cheadle and complimentary arm massages from The Pigsty. There’s also fantastic offers on Afternoon Tea’s and Glasses of Prosecco are 2 for 1 between 12pm and 2pm. Cheshire Home Fragrance started 2018 on a high after such a successful year in 2017 and I was delighted to discover that over Christmas, my candles had been winging their way around the world, spreading the scents of Cheshire far and wide across locations like the USA and Australia. I received so much positive feedback and was excited to spread my news but I never imagined my little business would be such BIG news – earlier this month I had the privilege of featuring in a popular South Manchester lifestyle publication. Living Edge, a prestigious magazine from Cheshire Life publishers Archant, ran a small piece about Cheshire Home Fragrance in their February edition – take a look at the image below. The magazine is available to read online (page 92). Thanks again for all your customer and support over the last couple of months – it really does mean a lot to me and my business. I can’t wait for what the rest of this year has in store!